NanoFlowcell’s Quantino 48Volt test vehicle has covered more than 350,000km (217,000 miles) to date. The test vehicle is intended to showcase the technical stability of the Flowcell-based 48Volt low-voltage electric drive. 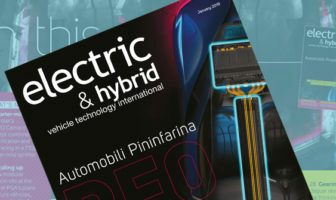 The Quantino 48Volt has been undergoing real-life endurance testing since it was homologated for road use in 2016, covering more than 200,000km (124,000) on the road and 150,000km (93,000 miles) on a testbed. The total mileage required the regular replacement of consumables such as brakes and tires, as well as a range of minor repairs. The powertrain, however, has operated with no problems throughout the entire duration of the test. Despite more than 10,000 running hours, neither the membrane nor the two electric pumps in the Flowcell drive showed any signs of wear. Occasional updates to the control software for the energy management in the vehicle were uploaded, but only to improve system efficiency – such as improved consumption regulation of the drive’s Bi-Ion electrolyte. Over the test period so far, the Quantino 48Volt has returned an average consumption of 8-10kW/100km. The endurance test has, the developer believes, demonstrated the Flowcell’s ability to operates at low voltages, thus negating the need for expensive and heavy high-voltage components of the kind used in conventional EVs.